The Indian Wedding comprise of several customs and traditions. These customs and traditions have been a part of Indian weddings for a long time and are passed on from one generation to the next. Customs and traditions are an integral part of all the ceremonies performed at Indian Weddings. In fact these customs add a charismatic touch to the whole event. There are several Indian wedding customs that make up most of the Indian weddings. The Indian wedding customs can be classified into various types depending on the type of wedding that takes place. Some basic customs are prevalent in almost all sorts of Indian Weddings. These include, Kanyadaan, Seven Vows/Saat Phere, Significance of Mangalsutra, Solah Shringar and Wedding Barat. Indian wedding customs are serious affairs, as they aim towards a happy married life for the couple. Most of the Indian wedding customs involve both the bride and the groom. All the Indian wedding customs have a profound and deep significance attached to them. Usually, a priest performs the customs. During the performance of these customs, the priest also recites several shlokas. Each shloka has a meaning attached to it. The priest also tells the bride and the groom what the shlokas mean. Some priests also inform the bride and groom, about the guidelines laid down for a happy married life. 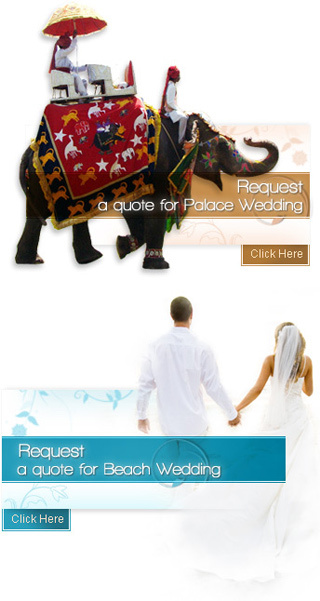 The Indian wedding customs form an integral part of the modern day wedding ceremony as well. In fact, even today, before any ceremony, the bride and groom are informed about the meaning and significance attached to each custom.